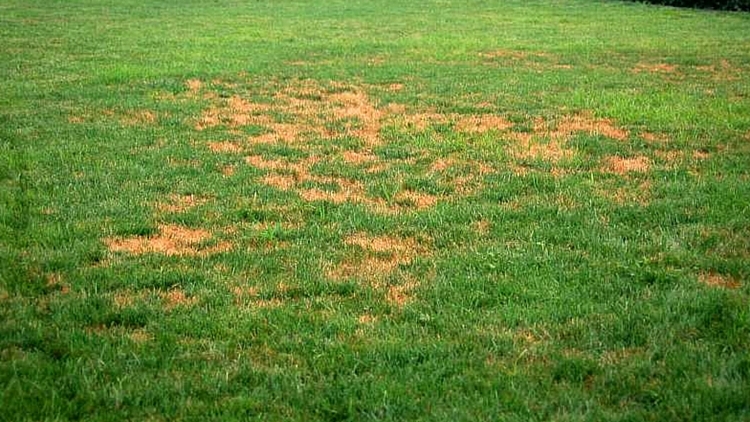 Giant dead spots on your beautiful lawn aren’t remotely pleasant. We know you know that. We also know that, often times, you are at a loss on how to fix it. This guide is on how to do that. But before we get started, ever wondered how those dead spots got there? There are a lot of ways, but some of the more common ways include spilling hot liquids like water, coffee or tea on the lawn. Also, concentrated urea from pets peeing on the lawn. Harsh chemical substances like petrol or non-selective herbicides can also kill off grass, leaving irregular patches of brown spots. Then there are the lawn diseases and buried stones that get heated up in the hot seasons, heating up the grass from under. How do you get rid of dead spots on the lawn? Cut the remaining tufts of grass and weeds in the dead spot before raking away the debris. Then use a hard-toothed lawn rake to break up the soil. For best results, increase the cleared area by about six inches beyond the initial dead spot. After this, add about two inches of compost or loam into the soil. Turn over the soil and the compost to a depth of about six inches so it all mixes well. While at it, remove any roots or rocks so they don’t mess up the new grass. Having juiced up the soil with compost or loam, turn the rake upside down and use the flat untoothed top to even out the ground. As an alternative, stamp down gently on the prepared ground. Sort out the grass sprigs and plant the root firmly in the ground at a forty-five degree angle and pat down to remove any pockets of air from the hole. Water the area lightly after planting. Water twice a day – morning and evening- to keep the roots nice and moist so they don’t dry out. Keep watering until the grass is about an inch high. After a fortnight, when the lawn has taken, add broadcast well rotted dry manure over the newly planted lawn and continue to water thoroughly. Also continue to water. After a couple mowing, the patch will fit right back in with the rest of clan. Do you want outside help on getting rid of dead spots on your lawn? Or you like to plant a new lawn all together? Contact us and let’s get you started. Indoor Plants: Are they really beneficial?